12/21 – Today in Florida History from the Florida Historical Society! 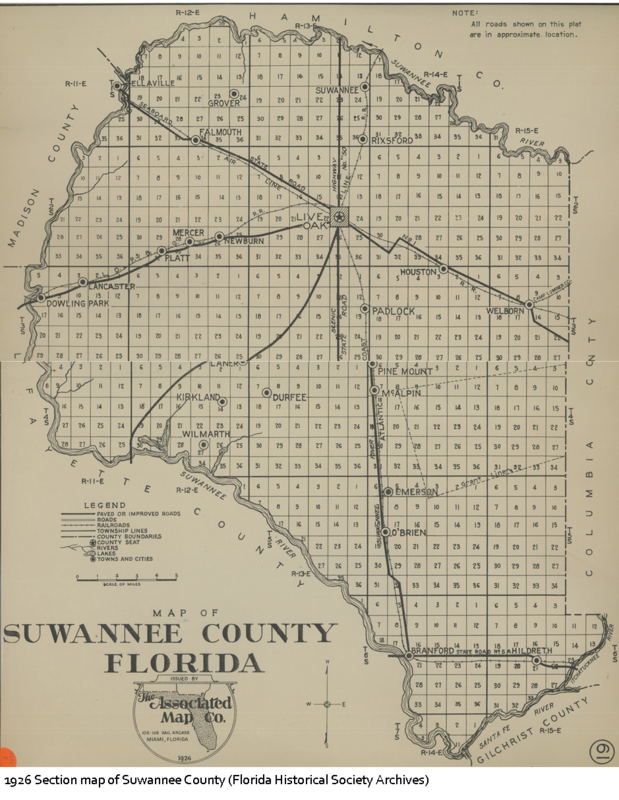 1858 – Suwannee County, Florida’s 35th county was established on this date. Named for the fabled river which surrounds it on three sides, Suwannee County’s boundaries have remained essentially the same since its inception. As early as the 1820s, families began moving into what would later become Suwannee County, and after the end of the Seminole Wars, the population steadily grew. The establishment of a railroad line and steamboat service helped the county grow, shipping passengers and freight, including cotton, up and down the Suwannee River quickly and efficiently. The county seat is Live Oak and today Suwannee boasts nearly 42,000 residents. Suwannee remained a dry county, meaning the sale of alcoholic beverages was illegal, until 2011.